Choice Outstanding Academic Title 2009! In its quarter-century-long shift from communism to capitalism, China has transformed itself from a desperately poor nation into a country with one of the fastest-growing and largest economies in the world. Doug Guthrie examines the reforms driving the economic genesis in this compact and highly readable introduction to contemporary China. 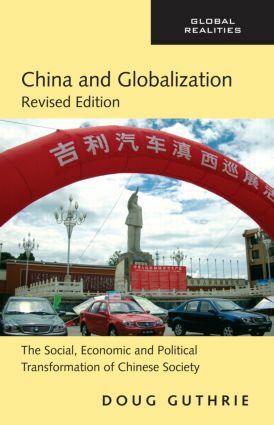 He highlights the social, cultural and political factors fostering this revolutionary change and interweaves a broad structural analysis with a consideration of social changes at the micro and macro levels. In this new, revised edition author Guthrie updates his story on modern China and provides the latest authoritative data and examples from current events to chart where this dynamically changing society is headed and what the likely consequences for the rest of the world will be.